Why is the ozone layer important for life on Earth? What is ozone layer? We can define the Ozone to be a gas which is present naturally in the environment. 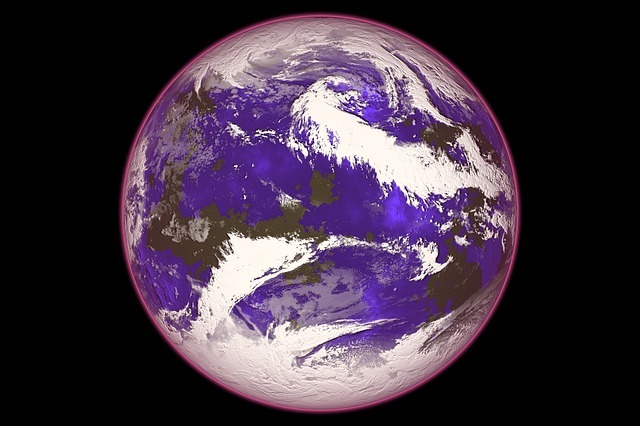 Where is Ozone present?- The Ozone layer is present in two layers of the atmosphere. What is the importance of ozone layer? The sun radiates a huge variety of radiations such as ultraviolet radiations which are very harmful to the human body. It is the ozone layer which helps to absorb the ultraviolet radiation rays. It also helps to prevent them from reaching the surface of the earth. In this way, they help to save us from harmful rays. The ozone layer which is present naturally in the lower layers of the atmosphere helps in eradicating the pollutants from the surface of the earth. If there were no ozone layer, the health of every single living being on planet Earth would be threatened. The depletion of the Ozone layer leads to an increased exposure to ultraviolet light, which can cause many health problems. When we are exposed to ultraviolet light, it enhances the risks of cataract development and skin cancer. It is very much possible to treat skin cancer in their early stages. It can, however, be deadly in the advanced stages. A growth in the eye is known as a cataract and they cloud the vision. It can also result in blindness. Enhanced exposure to UV also causes decreased growth of phytoplankton. Phytoplankton is the light-sensitive organism that forms the base of the ocean’s food web and at the same time, it is also responsible for removing much of the carbon dioxide from the atmosphere. Also, a thinning ozone layer would produce lower crop yields. There are many crops like rice which are sensitive to ultraviolet light. Increased UV exposure could make these crops less productive or even kill them. A major population of the earth is dependent on rice as a primary source of food. The ozone layer is very important for life on earth. It protects us from harmful UV rays that can have serious effects on biodiversity, animals and people’s health, including skin cancer and eye cataract. The experts have blamed the ozone-layer depletion on man-made chemicals containing chlorine and bromine that are emitted from a number of products and industrial processes. • The Montreal Protocol in 1987 has been successful in curbing many of the substances that are most destructive to the ozone layer. • Continued usage of methyl bromide and HCFCs, the banks of chemicals in existing equipment in buildings and the illegal trade in chemicals are areas that require more action. We will not be able to survive without the ozone layer as in the absence of the ozone layer one might suffer from various diseases like skin cancer, eye disorders etc. The harmful UV rays will also destroy the crops and ocean life. In what ways can I help to protect the ozone layer? Buy air-conditioning and refrigeration equipment which are not reliant on HCFCs as a refrigerant. For existing refrigeration appliances and air-conditioning which are running on CFCs or HCFCs, the refrigerant should be recycled or recovered whenever an overhaul of equipment is to be carried out. You should also consider retrofitting or replacing these types of equipment so that they are able to operate on non-HCFCs refrigerant. If your motor vehicle air-conditioners need servicing, it becomes necessary for you to ensure that instead of being vented to the atmosphere the refrigerants are properly recovered and recycled. It also becomes necessary for you to check your fire extinguishers to find active ingredients. If “halogenated hydrocarbon” or “halon” is the main ingredient, search for a hazardous waste center where it will be possible for you to recycle it or you can also call your local fire department for instructions on how to dispose of it. Change it with a model that does not have this detrimental ozone-depleting chemical. Purchase aerosol products which do not use HCFCs or CFCs as propellants. Undertake a regular inspection and maintenance of appliances such as the air-conditioning and refrigeration so as to prevent and minimize refrigerant leakage. You should never purchase aerosol products that have chlorofluorocarbons (CFC). Despite the fact that CFCs have been banned in a lot of the applications, you can only make yourself sure by reading the label on all your hairsprays, household chemicals, and deodorants.